Thrust mid-year into a school for pilots far from the safe haven of her birth home on scholarly Delgado, young Theo Waitley excels in hands-on flying while finding that she's behind the curve in social intricacies as well as in math. After surviving a mid-air emergency with a spectacular mountain-top landing in her training soar plane Theo's notoriety brings her attention from local thugs as well as a gift from Win Ton, a scout pilot she enjoyed a flirtation with on her first space voyage. When Win Ton appears on campus Theo throws herself into a relationship even as he's on his way to a Liaden marriage-bed. Meanwhile her mentors try to guide her studies and training into the channels best suited to her special abilitiesand inclinations, including suggesting that she should joim in the off-world studenty association, a plan resulting in mixed success. After a series of confrontations, fights, and ultimately a riot after which she is thanked for not killing anyone, Theo is named a "nexus of violence" by the school's administration. 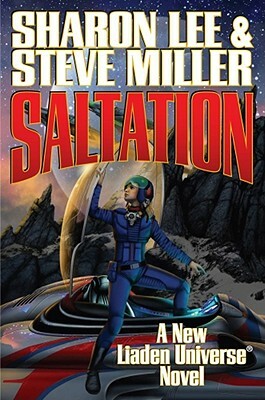 Facing suspension and carrying little more than hastily procured guild card, a pistol taken from an attacker, and the contents of her pants pockets, Theo must quickly decide if she's ready to return to Delgado in disgrace, or launch herself into the universe as a freelance pilot with credentials she's already earned.